Still much development left to find a perfect solution, if any can be found in the A-Class , but it is interesting to see how different concepts arise as I exchange info with several builders. Some are looking for more stability as the speed while flying is much greater and control is needed to offer a production A that can be sailed by most. Others are refining foils to minimize drag at the expense of less control. In the end we are seeing refinements of the latest Js, Zs (Stepped DNA board) plus the new life of Fischer 'L' rudders concept from the 'Mayfly'. Dna, Paradox and Exploder are all testing new refined versions. Arno Terra is now putting his experience in the DNA project with a new collaboration with Dario. Good for Arno that was a key part of the team set the new production and flight standards within the Class. I'm sailing the Exploder quite often and it is clear the boat has potential to foil in 8-10knots. But we are still learning techniques and winglet / foil fine tuning and trimming. Q: Where are you at with development and what can the market expect? A: Tooling for our V3 platform is well underway and our foil testing continues. The new hulls emphasise handling. They are designed for a wide range of trim angles so pitch attitude can easily be adjusted for best foil lift without degrading hull performance. We have concentrated on windage reduction of the whole platform, streamlining the cross-structure, sealing the trampoline to the hulls and lowering the profile as much as possible. Good dynamic range also helps reduce wetted area in light winds but still allows easy ‘unsticking’ for transition to foiling. and faster to adjust with one hand than traditional ropes and cleats. 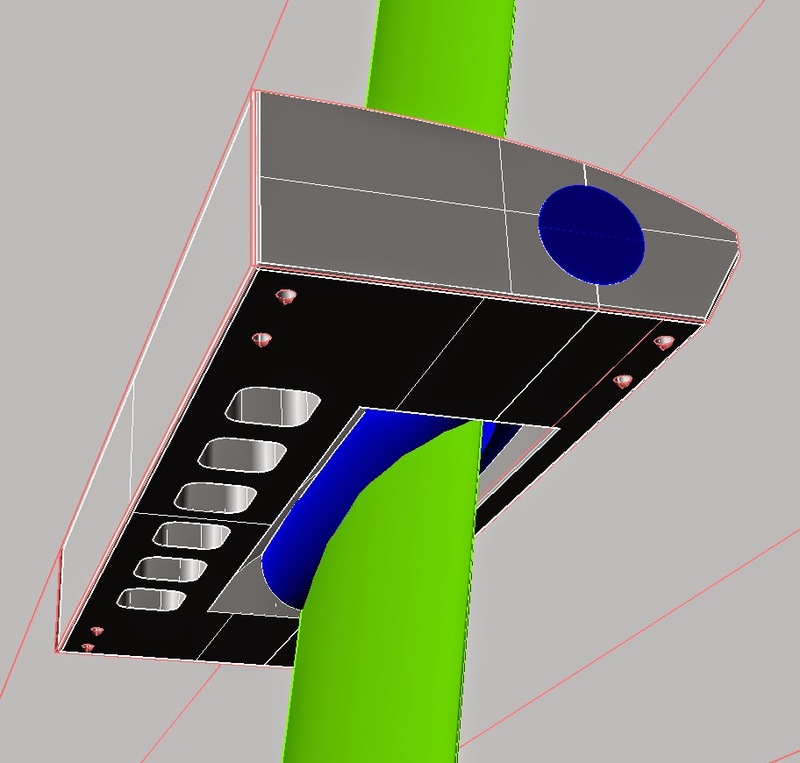 Like our cassette rudder concept, I think these innovations will become standard once people understand the benefits. Customer deliveries will start in the first half of 2015. The boat will be offered with a development of current Z boards. We are working hard on area, angles, sections and tip treatment of these simple foils. As an option and next step we are working on a system with flaps actuated by wands. This version would fit directly into the same openings with no modifications necessary. Q: You have started a new collaboration? A: Yes, Arno Terra is now a development partner. He brings great experience and a deep passion to the team. His input will be comprehensive. Current focus is the Z foils and updated rudders. We are also collaborating with the University of New South Wales on theoretical analysis projects. Our manufacturing has also moved under one roof which should make a big difference to timing and quality. Q: You seem to have tried many ideas that others have stayed away from so far. What are your views on the situation with the Rules?A: I was very careful to stay out of the politics before the vote at the last Worlds. Generally my philosophy is that well defined fair rules energise the design process and force creative solutions. I did comment after the vote that in my opinion Rule 8.2 is counterproductive. I will go further and say that it has done the Class no good because it is poorly worded and ineffective. Interestingly it is the only rule which imposes a ‘non dimensional’ restriction. Instead of limiting a length, area, or weight, it refers to a specific type of feature that happened to be popular at the time the rule was written. Every other rule in the Class assumes the boats will change radically so only restricts dimensions. 8.2 unimaginatively refers to a transient feature. But I still do not advocate a change. Instead I would suggest that people read Rule 8.2 ‘with fresh eyes’ and realise it objectively allows pretty much any foil configuration that could be desired. Here is a clue: If I said that “all sailors who own a boat and pay the entry fee will be scored in the race”, what would you take that to mean? Would it be different to “all sailors who own a boat or pay the entry fee will be scored in the race”? Only one word has changed. But ‘and’ means you must both own a boat and pay the entry fee. ‘Or’ means the fee is optional. In this case only appendages that are movable AND retractable come under Rule 8.2. Ones that move but don’t retract need not comply with 8.2. So there is no need to worry about how the appendages are inserted.